I get that magazine too and have been wanting to recreate it too! Great minds think alike! Yours looks so good! It seems we have very similar tastes! At least now you have another version to look at to decide if you want to go ahead and make it - I definitely recommend it! Ooo! I am so glad you made this one! I was eyeing that same recipe in the Vegetarian Times magazine. I'm glad to know it turned out and is worth making :) Looks delicious! Thanks! That's funny that at least a few of us eyed that recipe! I did make a couple changes and I left out the tomatoes and lettuce, because the more "authentic" one that I had tried earlier didn't have those things on it. I think there were enough toppings without them anyway! 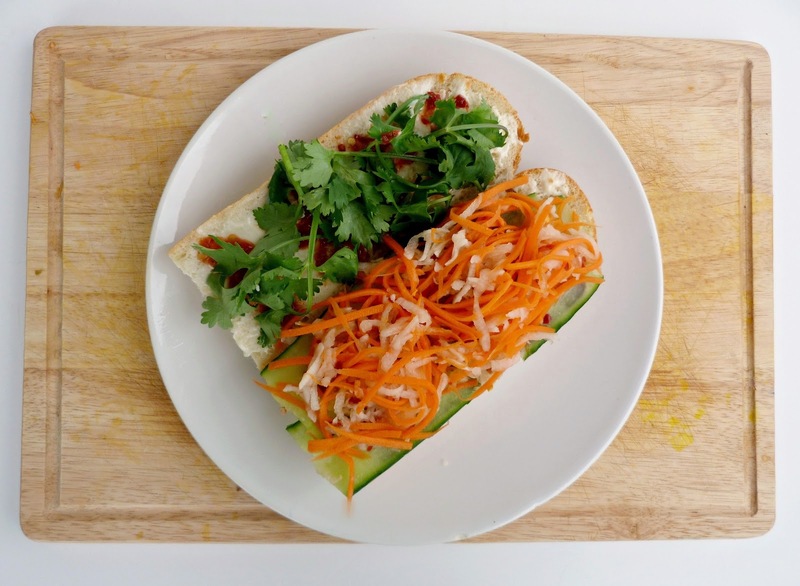 I became slightly obsessed with trying banh mi after I had heard about it in magazines and food blogs, so I'm really glad I could learn to make them myself! I love pickled vegetables, so I knew I would like the combination of spices and vinegar too! This recipe is great. I grew up eating the meaty version of it but now that I'm a vegetarian, I'm on the search to recreate my favorite dishes meat-free. I just have one small correction for you. 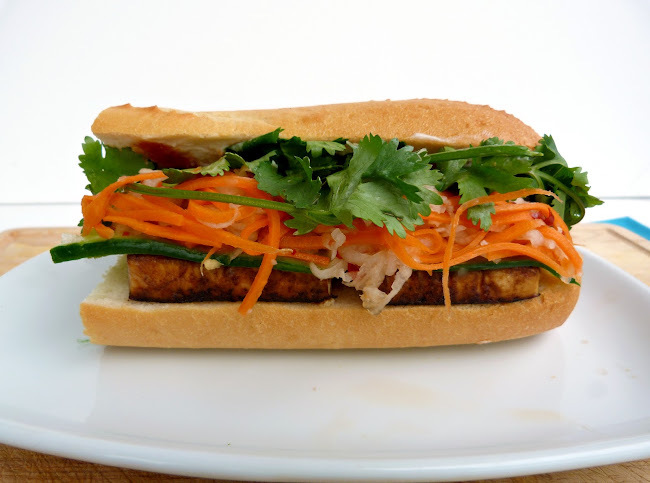 It should be spelled "banh mi" not "bahn mi". 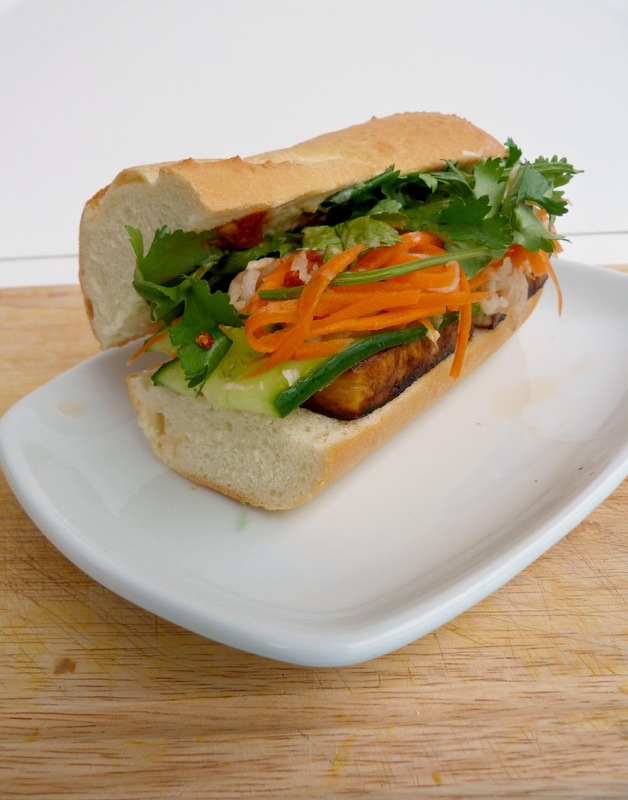 Bahn is not a real word in Vietnamese whereas "banh mi" means bread or sandwich. Thanks so much for pointing that out, I can't believe I spelled it wrong! It's fixed now...I agree, its a fun challenge to recreate some of your old favourite dishes in vegetarian form, and it's even better when the vegetarian version turns out really well! Sounds like this was a popular recipe with bloggers! 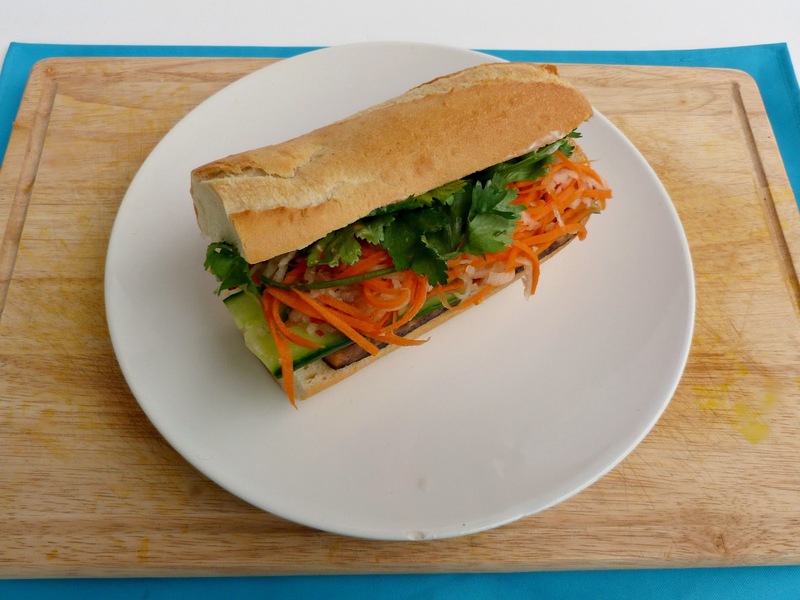 You should definitely give it a try if you like spicy Asian flavours! Oh WOW I have always wanted to try this - I haven't been able to read through my latest Veg Times Magazine....this looks so so good. I can ony imagine all the plays on flavor and textures, I bet it is addicting! It was a bit too addicting - I made my sandwiches so big that I had to eat them really quickly before my stomach caught up and I got too full to finish! It could probably be turned into mini sliders for smaller portions, that would be fun too! kind of bland. Our local restaurants do it better.